Progressive-Sounds: The Global Undergound 28 'Shanghai' album focused a lot on new talent. Was this a major influence on the direction of the album, or if not, what criteria were you using when making the track selection? Nick Warren: It was my concern that new talent is not getting a platform or chance to showcase their abilities. In the past, people like myself were given record deals which gave us the opportunity to make an album. This no longer seems to be the case, so I wanted my audience and fans to hear the talent of these producers from all over the world. Progressive-Sounds: With the release of your previous Global Underground album, you stated it would be your last Global Underground compilation. What were the reasons for this, and what brought about your return to the series? Nick Warren: Actually I stated that I wasn't sure if I wanted to make another compilation. My words were misconstrued slightly. Progressive-Sounds: You recently took to the main stage at the Dance Valley Festival in Holland. In regards to these type of events, how do you feel they have changed (if at all) during your time as a DJ, and how do you compare playing in a club type environment as opposed to large dance party events? Nick Warren: Events such as Dance Valley are very special. The organisers put a massive amount of time and work in to make the event a quality show. Some dance festivals take the piss with poor quality production, although I do feel the best festivals are the ones that give a full range of music, rock and dance. Progressive-Sounds: In the earlier days, you toured with trip-hop band Massive Attack as their DJ. Did this in any way influence or affect your mixing or productions? If so, in what ways? Nick Warren: It really was the best introduction to playing to crowds for me. I was there to set the vibe for the audience, and my job was to build it up until the band came on. So many Djs want to make the maximum impact, when they should just set the mood. Too many people care about stardom today, and that is always a mistake. 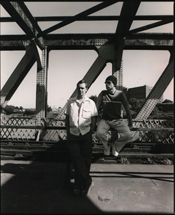 Progressive-Sounds: Since teaming up with Jody Wisternoff to form Way Out West back in 1994, have there been any predominating influences over the band's work during the years? Also, in terms of the band, are there any plans for the future as of yet? Nick Warren: We will start recording again at the end of the year. My influences have always been away from dance music. 4AD Records were a big influence as were bands like New Order and even Jean Michel Jarre. Progressive-Sounds: With you and Jody having been into different styles of music, did this help define the sound of "Way Out West" in any way at all? In certain situations it would seem that there is the possibility for this to cause disagreements, does this happen very often? Nick Warren: In over ten years we have never really argued, weird I know! But we trust each other's judgement on ideas and I think we are closer than we have ever been. Progressive-Sounds: Aside from the forthcoming remixes of BCML's 'Mr Horowitz' and Echo And The Bunnymen's 'Lips Like Sugar', are there any other projects we will see Way Out West add their touch to in the near future? 'Nick Warren: Nothing really. With the release of the Shanghai album I really don't have time to get into the studio at the moment, as I'm touring non stop to promote the album. Progressive-Sounds: Are there any particular albums at the moment that you have been listening to on a constant basis? 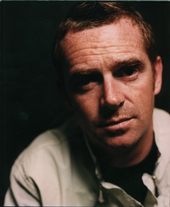 Nick Warren: I love abstract music. I am a big fan of a Scandinavian artist called Arve Henrikson, and also the new album by Icelandic band Sigur Ros is sensational. Progressive-Sounds: Finally, you would have seen the industry as a whole experience many changes. Based on what you have seen in the past, do you have any predictions as to where the scene may be headed in the future? Nick Warren: We need some stars again. In 2005 there is no Orbital or Leftfield or Prodigy. Record labels have lost faith in dance and they are wrong. There is still a huge audience worldwide.